The problem is you aren’t on a television show and you don’t have a personal stylist pulling the best garments from the best designers for you to make your appearance at the office. No you are wishing and wanting and wondering where it came from, where to buy it, how much it costs. But now you don’t have to wonder anymore. Now you too can look like a modern-day gladiator and all it takes is a trip to your local mall or a click on your computer and you can have pieces inspired by Olivia Pope (the show’s main character). 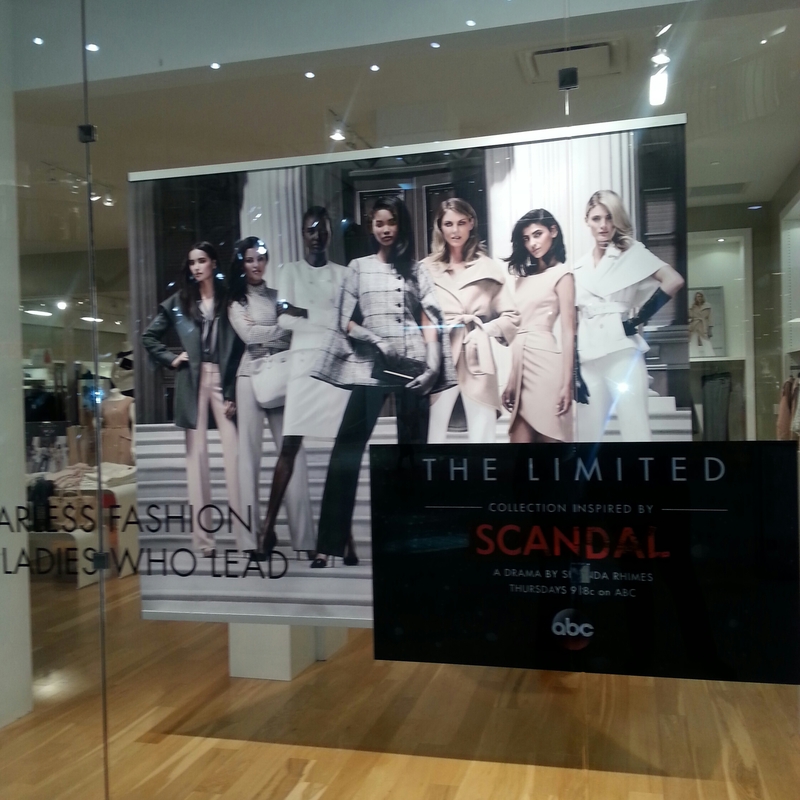 The Scandal collection at The Limited, captures the essence of Olivia Pope, the no-nonsense woman who slays the opponent with her quick wit and ability to fix any imaginable or unimaginable problem for that matter. The show’s star, Kerry Washington (aka Olivia) and the show’s costume designer created a line that will allow you to be a “Gladiator in a Suit.” Every piece in the collection even reminds you of this with a little red label inside the garment. The collection debuted on Tuesday, September 23, 2014 at the Limited nationwide and online. And what better way to introduce it to the masses than to throw a party fit for an A-lister right in the store. I attended and enjoyed snacks, giveaways and of course a swag bag. But the star of the party was the collection itself. From tailored pants to silky blouses, from structured jackets to sultry gloves, there is something for everyone! The palate is muted with some pale pastels in the mix. The line says “I’m in charge,” while accentuating your femininity. Overall the collection was a nice start and there are plans for a holiday and spring collection. Prices range from $49 to $228. See my top 2 looks below and check out the entire collection and other great clothes for the woman-in-charge on The Limited website. ~ Till next time, fellow gladiators! Thanks for the info. I will have to check out a few styles for myself. You will love the sophistication of the line.